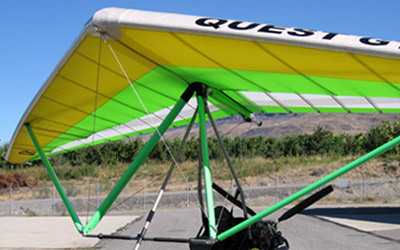 The new Conquest wing is the result of twenty months of design and testing, to create the best Light Sport Aircraft Wing. 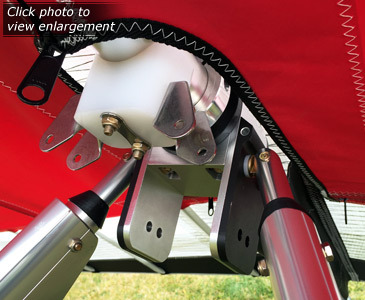 The Conquest wing features all of our latest wing refinements, based on 17 years experience designing trike wings and hang gliders. 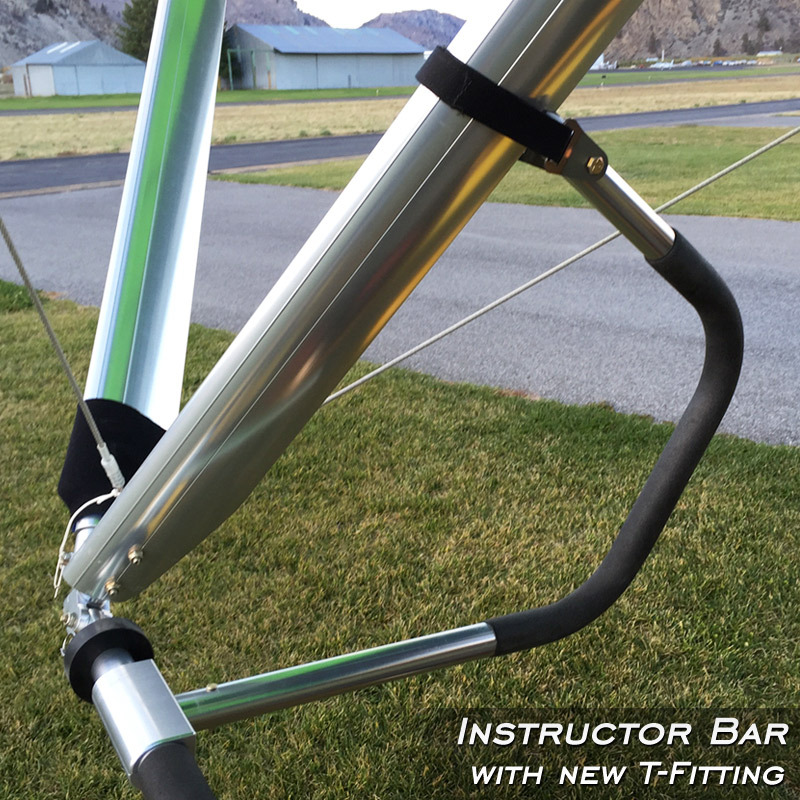 New sail design, new airfoil design, new frame geometry, internal shear ribs, Vortex Generators, and more! 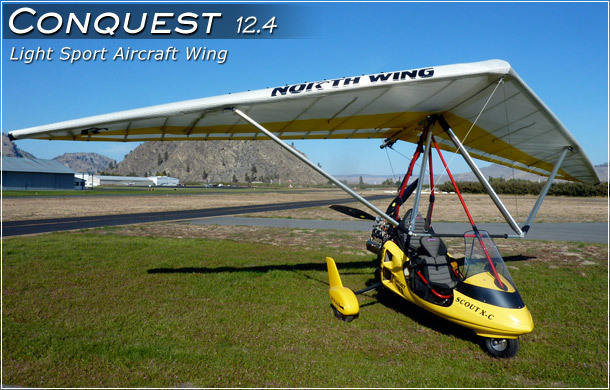 As a descendent of the very popular Quest GT5 wing, the Conquest's ability to fly cross-country and handle turbulence well has been improved. 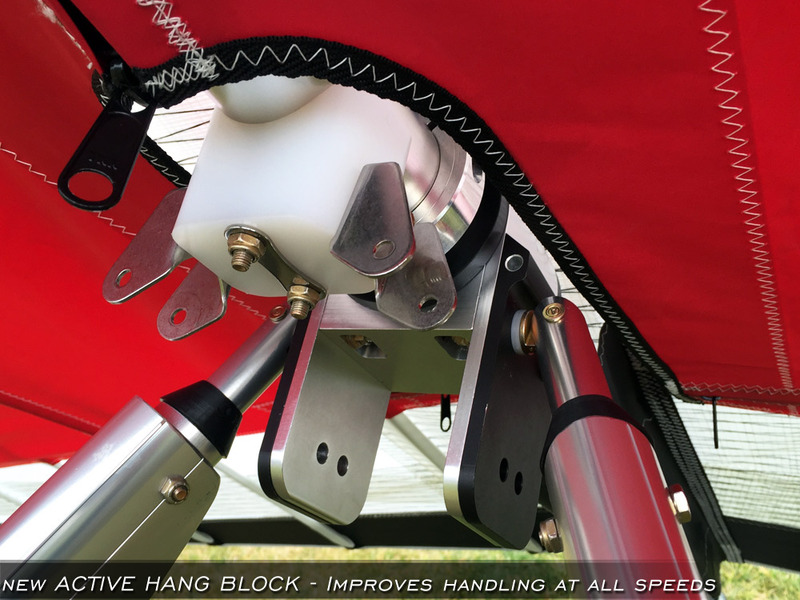 All this is possible because of twenty months of design research, resulting in an unmatched speed and handling combination! 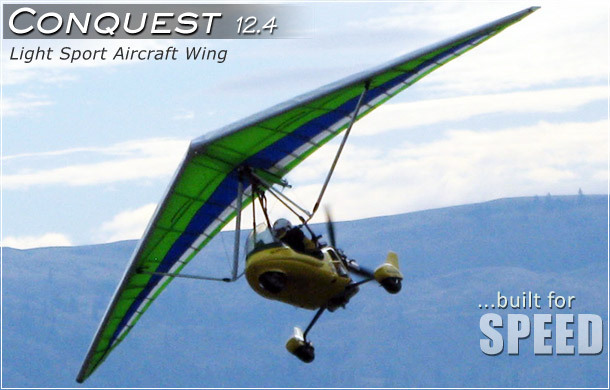 The beautiful strutted Conquest is designed for two place light sport aircraft, with a gross load rating of 1060 lbs. 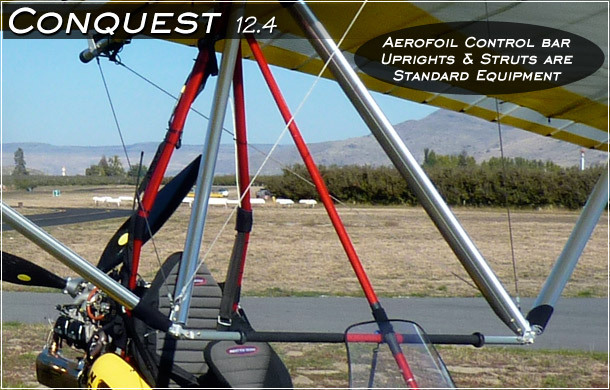 The Conquest is available in 12.4M size, and is designed for our Scout XC Apache, Scout XC Navajo light sport aircraft. 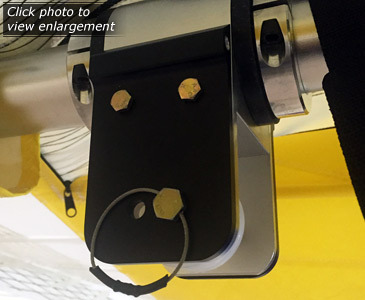 You can also attach the Conquest wing to your light sport aircraft using our Universal Mount. 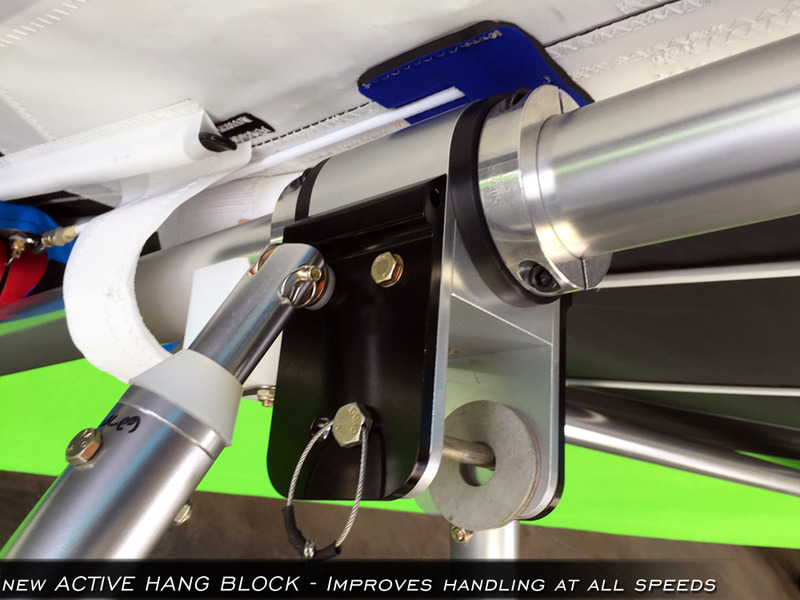 When you want to get somewhere fast, this is your wing! 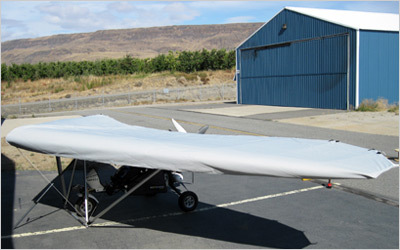 The Conquest wing features Vortex Generators as standard equipment. 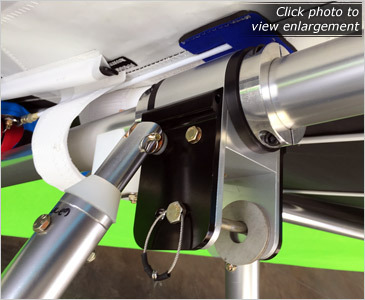 The vortex generators create vortices that energize the boundary layer, providing improved wing control authority at low speeds and high angles of attack. 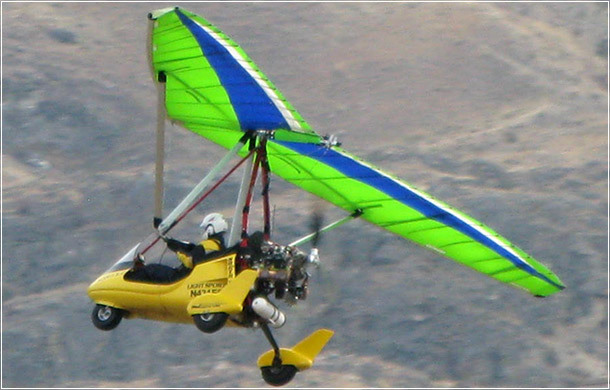 The Conquest is a highly refined, strutted wing capable of a 55 mph range of speed from stall to top speed. 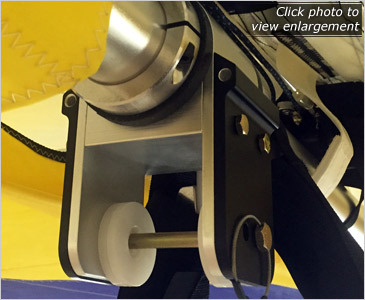 One of the most impressive achievements in the Conquest is the light handling both in pitch and roll. 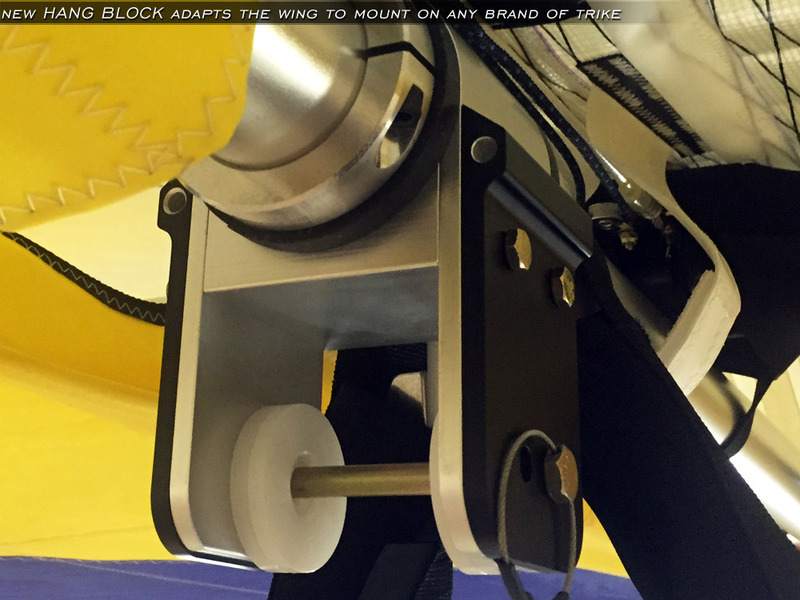 The Conquest Wing features a new performance enhancement as Standard Equipment. 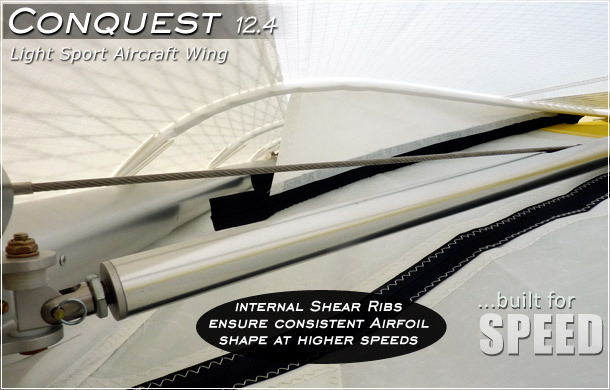 The Vortex Generators improve wing handling and performance by controlling airflow over the upper surface of the wing. The vortex generators create vortices that energize the boundary layer, providing improved wing control authority at low speeds and high angles of attack. The Vortex Generators improve safety and performance. 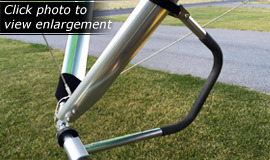 Fly the Conquest Wing on any brand of trike! 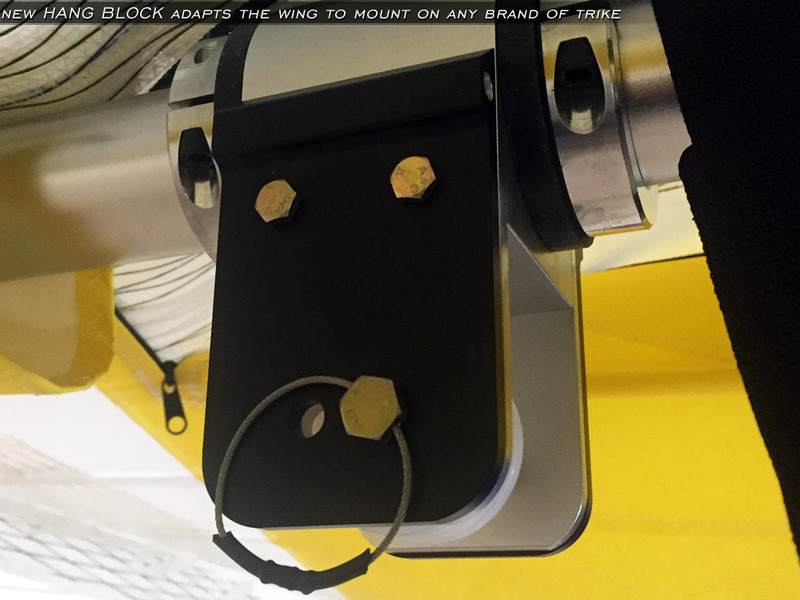 The new Pivot/Hang Block adapts the Conquest Wing to attach to your Airborne, AirCréation, or any other brand of trike.